Mind the Gap Theatre Company visited our school to raise awareness of our Green Flag on Global Citizenship. They performed a show which focused on poverty and its effect on children accessing education. The show was full of acrobatics, fun and opportunities for the children to become involved. There was also workshop held afterwards which explored the themes at a deeper level. Junior and Senior Infants enjoying Irish Dancing lessons with Irish dancing teacher Deirdre O'Sullivan. 3rd, 4th, 5th and 6th class boys and girls have been very active training for Sciath na Scol Hurling and Camogie matches. Pupils from the students council helped to build a wormery in a nice shaded spot at the north side of the school. This is part of our Action Plan for Green Flag No.6, Global Citizenship, Litter and Waste. Donal spoke to the students about waste and how to make and use compost. Junior and Senior Infants visited our two local hairdressers in Coachford, 'Stylz Hair and Beauty' and 'Coachford Hair and Beauty', where they experienced first hand the workings of a real hairdressers. Junior and Senior Infants during Aistear. This months theme is 'The Hairdressers'. 1st and 2nd class were planting some lovely flowers to make a colourful display outside our school. 5th & 6th class have been working hard on their Animal Projects. Their completed projects were then presented to their class. 3rd & 4th Class investigating the various types of forces during their visit to the Lifetime Lab in Cork. 1st & 2nd Class and 3rd & 4th Class made St. Brigid's Crosses for St. Brigid's Day. Our school presented a cheque for €435 to BUMBLEance, which was fundraised by the school through a cake sale that was organised by 3rd and 4th class. Buddy Circuits are taking place in the infant yard at present, where 5th and 6th class students organise and supervise playground games with Junior and Senior Infants. Junior and Senior Infants enjoying their gymnastics class. 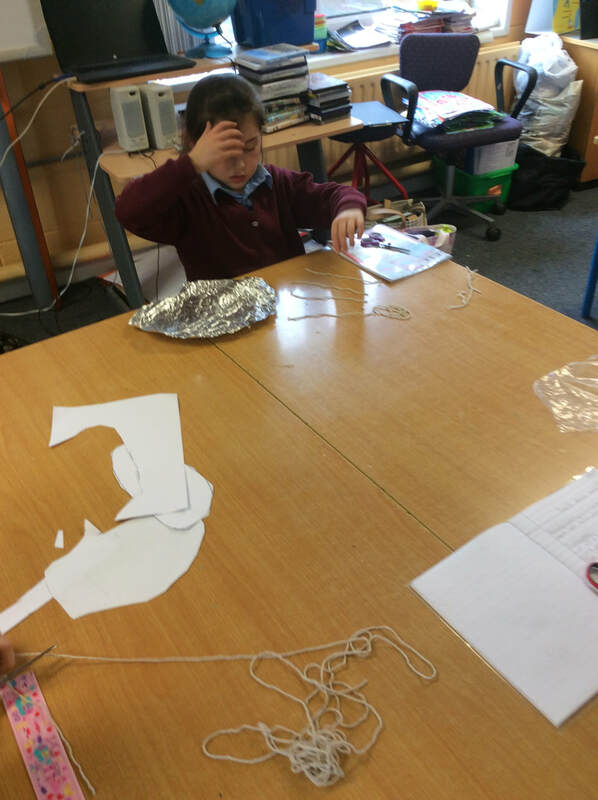 This week 3rd & 4th class pupils made bird feeders! 1st and 2nd class experiencing our cold weather spell recently. Celebrating diversity in Coachford National School. Children from all classes taking part in gymnastic classes with coach Nicole Geaney. 3rd and 4th class are busy making bird feeders. The Basketball School Visit Programme took place in our school for 3rd, 4th, 5th and 6th class. This initiative offered the students an introduction to basketball in a fun, inclusive and supportive environment. 3rd, 4th, 5th and 6th class enjoyed participating in our Lunchtime Soccer Leagues. Junior and Senior Infants learning through 'Aistear'. A very special visitor came to our school just before Christmas. We had a great response from all classes to the Cork Penny Dinners Shoebox collection. These boxes of goodies will be distributed to needy families and individuals in and around Cork this Christmas. Our school got a donation of a fabulous Christmas Tree from Murphy's Fuels and Macroom Christmas Trees. The children from 1st and 2nd class have been busy making and hanging decorations on it for the past week. It has made a very welcome and colourful addition to our school hall. The pupils of 3rd and 4th class held a very successful cake sale in aid of Bumbleance. 5th and 6th class have been visiting the National Rowing Centre in Farran for the past few weeks. This has given the students an introduction to the sport of rowing through skill techniques, games and challenges. 5th and 6th class took part in an energy workshop at the Lifetime Lab as part of our Science Week activities. This was a great day out for the pupils where they got to learn about different types of electronics and circuit boards. They had plenty of hands on experience making different types of electrical circuits and using these circuits to power light bulbs, fans, buzzers and mini cars. Junior and Senior Infants conducted science experiments during science week. They were examining the waterproof properties of different materials by exploring 'What materials make the best boat?'. They also explored the strength of these waterproof materials and their ability to float or sink. 3rd and 4th class are partaking in the STEPS Young Engineer award this year. The objective is to design a piece of engineering that will assist the local community/environment in some way. For science week the children displayed and discussed their prototypes and ideas to the rest of the school. 1st and 2nd class were also busy conducting science experiments during science week. They explored the waterproof properties of different materials, they produced and experimented with static electricity and they made a rocket fueled by air pressure released from an inflated balloon. 5th and 6th class conducted some science experiments during science week. They explored the soluble properties of different substances, they examined evaporation, they studied refraction and the bending of light and they made and tested pinhole cameras. Coachford National School were presented with a cheque for €500 from Inver Fuels through our local Cooneys Garage. We are very grateful for this very generous donation. The boys and girls in 3rd and 4th class presenting their Ancient Greece projects. Junior and Senior Infants enjoy 'Aistear', learning through play, at school every morning. This month they have been exploring the theme 'Travel and transport'. Pupils from the junior and senior classes worked together to design, make and write thank you cards for the businesses and individuals who donated so generously towards our fabulous new soft play area. All the students had great fun dressing up in their spooky Halloween costumes. Junior and Senior Infants enjoying Aistear. This month the theme is 'Autumn and Halloween'. Pupils from 1st class to 6th class took part in the West Muskerry Cross Country Running Event held in Macroom recently. Junior and Senior Infants enjoy Aistear, learning through play, each morning in school. They explore a different theme every few weeks, working and playing in small groups. The current theme they are exploring is 'All About Me'. 1st and 2nd class sample some of the delicious apples that have grown on our school apple tree. Our school held a red and white day to show our support for the Cork Senior and Intermediate Camogie Teams in their All Ireland Finals held in Croke Park. Our garden, Tír Draíochta, produced some great colour, fruit and vegetables during our fantastic summer. 1st and 2nd class help to display some of the vegetables grown. We were all very proud when our school garden won an award for 'Best Colour and Art Garden' in the Muintir na Tire school gardens competition. The award ceremony was held in the County Hall in Cork city and the school was represented by Ms O'Driscoll, Mrs O'Sullivan, Lucy Lehane, Ciaran O'Sullivan and Conor McKenna. The Student Council, under the guidance of Ms Flaherty, ran a very successful Charity Board Game Blitz for all the school and raised €150 for the Irish Guide Dogs. The school had a visit from Stephanie O'Toole recently who ran a Stream Scapes workshop where the children had a great opportunity to explore and investigate river wildlife. We were delighted to welcome a very special visitor to our school, Erin O Connell, the new Cork Rose. We have recently had some new additions to our school garden 'Tír Draíochta' - some fantastic Fairy Houses made by the children from 1st and 2nd class, a wide variety of very creative bird feeders made by Junior and Senior Infants, a collection of wonderful Scarecrows made by 3rd and 4th class and a selection of very inventive planters by 5th and 6th class. We have also had our recently painted school mural mounted in the garden. 1st and 2nd class had a great day out on their school tour to Fota Wildlife Park recently. Junior and Senior Infants had a fabulous time on their school tour to Grenagh Farm recently. Ms O Driscoll, along with pupils Edel Downey, Eimear Corkery, Alec Harrison, Kayla Cregan and Emily O Donovan received a Water Safety Awarness Award and flag on behalf of the school at the County Hall, Cork. We all had great fun on our Parents Fundraising Treasure Hunt and Walk at the Greenway in Coachford recently. Orla Bermingham, Darragh Thompson and Muireann O Sullivan celebrating their First Holy Communion. Coachford N.S. recently celebrated its 10th STEM award. Simon Meeghan, winner of the 2018 Young Sceintist of the Year Award along with his teacher Ms Karina Lyne, came to visit our school to help us to celebrate this great achievement. Nikki Darrell and her daughter Lucy recently visited the school and helped the children to set vegetables and herbs in our school garden. She also gave each class packets of seeds so that they can plant and watch some herbs grow in their classrooms. The local Active Retirement Group have been visiting our school every Friday holding knitting classes with the children of 1st and 2nd class. The children are thoroughly enjoying this time, knitting scarves and blankets for their teddies, as well as little purses and bags for themselves. 5th and 6th class recently received a talk on 'Farm and Water Safety'. They then in turn delivered this information to the infant classes in very fun and creative way. We had a visit from 'Mind the G.A.P.' drama group recently who performed their play 'It's not fair'. This was a very informative and entertaining show which the children really enjoyed. Their play highlighted the message of Fairtrade, Climate Change and Child Labour. They also held a workshop with the newly formed 'Student Council' exploring the idea of interdependence and food security. Junior and Senior Infants had great fun on their easter egg hunt! Junior and Senior infants went on a spring nature walk with their teacher Ms Flaherty, exploring and investigating the plants growing in our school yard. All classes had great fun dressing up for St Patrick's Day celebrations. We also held a Ceilí Mór as part of our Seachtain na Gaeilge activities, under the guidance of our Irish Dancing Teacher, Deirdre O Sullivan. 'Junior and senior infants made some lovely St Patrick's Day 'Shamrock People'. 1st and 2nd class conducted a very exciting Archaeological Dig in the 'Sands of Egypt'. They found many interesting treasures and artefacts which then had to document and record. All classes enjoying the cold weather recently! 1st and 2nd class had great fun making pancakes with Ms Dunlea. Our 5th/6th classes recently took part in the VEX IQ Robotics Competition in CIT. The children designed and built their own robot which was programed to perform certain tasks. Children from all classes enjoying their gymnastic lessons, under the instruction of the Ballincollig Gymnastics Club. A very special visitor came to see all the children before Christmas. Niamh Mulqueen from the charity Bothár came to visit our school to talk to the children about the great work that Bothár are doing abroad. She was presented with a cheque for €550, which was collected by the fantastic fundraising done by Mr Reen and the children of 3rd and 4th class in the school recently. We would like to thank all the children in the school and their families for donating so generously to this great cause. Saint Josephs National School recently visited our school to work with our 5th and 6th class on their VEX robotics projects. This was a great opportunity for both schools to share ideas and discuss tactics and to see each others robots in action. Coachford National School held a fundraising Talent Show where we were entertained with a wide variety of performances from pupils from all classes as well as some past pupils, parents, grandparent and friends of the school. 5th and 6th class have been enjoying their trips to the Lee Valley Rowing Club. 3rd, 4th, 5th and 6th classes had an opportunity to challenge themselves with 'Hands on Maths'. This activity was introduced and demonstrated by visitors from the Lifetime Lab. Children from all classes have been taking gymnastic lessons under the instruction of the Ballincollig Gymnastics Club. Science experiments and activities took place in all classes during Science Week. We held a 'red and white day' for all classes recently to show our support for the Cork Ladies Camogie Team who played in the All Ireland Final in Croke Park on Sunday 10th September. We were delighted with their tremendous victory! Junior and Senior Infants enjoying Aistear - learning through play. All classes had great fun at our annual sports day. Some members of our green schools committee, along with Ms O Sullivan visited the Radisson Blu Hotel, Little Island to receive our fifth Green Flag recently. Coachford National School presented cheques of 350 euro each to the Irish Guide Dogs and Marymount Hospice. This money was collected during our Dancethon Fundrasing event. Volunteers Mary and Joe Duffy from the Irish Guide Dogs and Valerie Cadigan from Marymount Hospice visited the school to accept the cheques on behalf of these well deserving charities. Junior and senior infants unwrapping their 'seed bombs' after allowing them time to germinate and placing them in our school garden. Children from 3rd to 6th class travelled to the INEC in Killarney on 11 March to take part in the Sing Out Loud concert. A great day was had by all. We held a fundraising Dancethon in the local GAA hall on March 16th which proved a great success. The children dressed up and danced the morning away under the guidance of Irish Dancing teacher Deirdre O Sullivan and Zumba instructor Frank Sheerin. Many thanks to everyone who donated funds for the Irish Guide Dogs, Marymount Hospice and the school, and also to everyone who showed up on the day. Jessica Mason, environmental scientist from the Heritage Council of Ireland, visited the school during biodiversity week. She completed workshops with the children exploring our school environment for evidence of biodiversity at work. Jessica demonstrated how plants, animals and bugs in our immediate environment and beyond are all interconnected and rely on each other for survival. She spoke to the children about the importance of maintaining and encouraging a balance between nature and animals in our own gardens and communities. One of our parents, Dr Simon Harrison, scientist and lecturer in UCC, visited the school during Biodiversity Week to talk to the children about the importance of biodiversity in our environment and around the world. It was a very interactive, informative, interesting and fun talk and demonstration for all the children. He also brought a very interesting visitor with him! Joanne Crowley, past pupil of our school, very generously gave of her time to help the students from 5th and 6th class to complete a very innovative planting project for our Biodiversity Flag initiative. Junior and Senior infants made 'seed bombs' for our biodiversity flag initiative with the help of past pupil Joanne Crowley. We are very grateful to Joanne for so kindly giving of her expertise and time to the school. All of the children in the school helped to make our new school garden 'Tír Draíochta'. This work was completed with the help and guidance of past pupil Joanne Crowley to whom we are very grateful. Mr Horan hosted a quiz during Biodiversity Week in February 2017 for 1st class to 6th class students. 1916 Centenary Celebrations were held in the school on 15th March, 2016 where the Irish Flag was raised by local historian Mr Anthony Greene. The Irish proclamation was read, along with a new proclamation written by the pupils and their families, setting out their visions and ideals for the future. The occasion was also marked with Irish dancing, singing and music by our very talented students. 15th March, 2016 = A presentation of a painting of Coachford National School by 6th class student Ellie Dineen, along with the signatures of all staff and students of the school, was made to Mr Anthony Greene as a token of gratitude for his many years of service on our Board of Management. Our very talent 6th class student, Ellie Dineen, with her fabulous award winning piece of art. We celebrated the 20th anniversary of the opening of our school on Tuesday 8 March 2016 with Fr. Peadar celebrating mass in the school hall. We also were delighted to see past teaching staff, Mr. Tom Hallahan, Mrs. Mary Buckley, Mrs. Sheila Dwyer and Mrs. Síle Murphy (nee O’Sullivan) returning to help us celebrate this special occasion. Various science experiments carried out in different classes during February and March. Irish Dancing classes, lead by Deirdre O Sullivan, are proving very popular with all classes.